Place your mouse on chargeable device and you are now set. 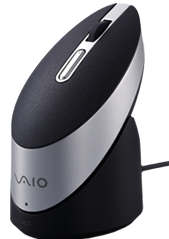 Long battery life, the mouse has five buttons and a scroll wheel, its light weight mouse. Compatible with Bluetooth enabled notebooks which are preinstalled with Windows 7, Vista and XP operating systems.